The F700GS was functional, practical and enjoyable. Lucky, because it wasn’t much of a looker. 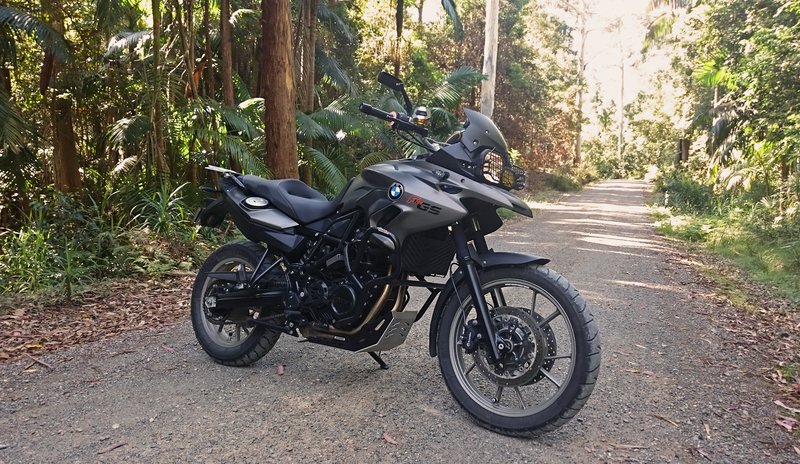 From day one, the F700GS wasn’t a bike that I turned around and looked at when I walked away from it. Twelve thousand kilometres later that hadn’t changed, but luckily its strengths lay in its talents, not its looks. I know people says it’s what’s on the inside that counts, but they’re usually the ones sporting chiseled features, good jobs and bulging pants. From their wallets, come on! When we’re being honest, everyone likes a looker and even after the GS had crash bars, racks, a headlight protector and an exhaust thrown at it, it still looked a bit weak. It’s proportions were off and the front suspension that worked so well – after being re-valeved and re-sprung – just didn’t look right. There was one good thing about the bike’s looks – you couldn’t see it while you were riding. Despite its demure appearance, the GS’ 798cc Rotax made parallel twin loved to rev and was plenty powerful enough (I saw an indicated 198km/h once with a tailwind and a BIG run-up). However, it was a little bland and always felt a bit over-worked, especially at highway speeds in sixth gear where it would buzz through the seat in a not-entirely pleasant way. The Leo Vince muffler brought the noise to the party, which made the engine a lot more fun to exploit, helped by the fairly sweet six-speed gearbox. 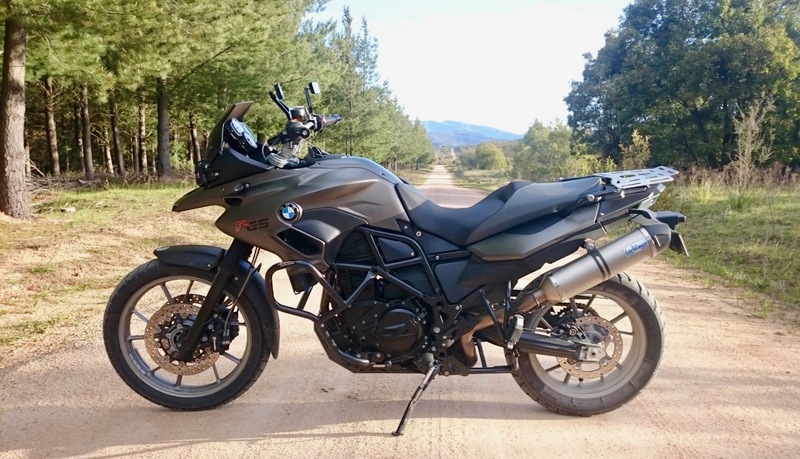 The F700GS’ long wheel base and predictable power delivery made power sliding on the loose stuff a joy. For me the main standout of the bike, and probably what I’ll miss the most, was the electronics package. The ability to change the rear shock’s damping, check the tyre pressures and warm your hands all by pressing a different button on the handlebars never got old. However, while the ABS was nice to have, the traction control was slow to react and felt like hitting a brick wall when it finally did decide the rear wheel-spin needed reigning in. On the plus side, the traction control wasn’t too difficult to switch off and the bike’s giant wheel-base made it great fun to power slide on loose surfaces. The GS was also beautifully finished with LED indicators, Brembo brakes and braided steel brake lines fitted from the factory. The matte grey/brown paint that attracted me to the bike in the first place still looked flawless and was surprisingly easy to keep clean. In-fact the entire bike, even after nearly three years and an admittedly low 12,000kms, was still looking factory fresh when it was loaded into the van that took it to its new home.